Here’s how to create a free blog in just six steps using WordPress.com. What will be the focus of your blog? It’s tempting to tackle multiple topics at once; however, it’s probably easier to begin with one area you have the most expertise or interest in. You don’t want to overwhelm yourself straight out of the gate. Go to WordPress.com and click Get Started. Follow the prompts to create your account and new blog. Based on the topic you choose, pick a domain that tells readers what your blog is about. You can either create a free domain name that includes WordPress.com in it (example.wordpress.com), or you can register a custom domain that doesn’t mention WordPress.com. Choose a WordPress.com theme that matches the desired feel of your blog. 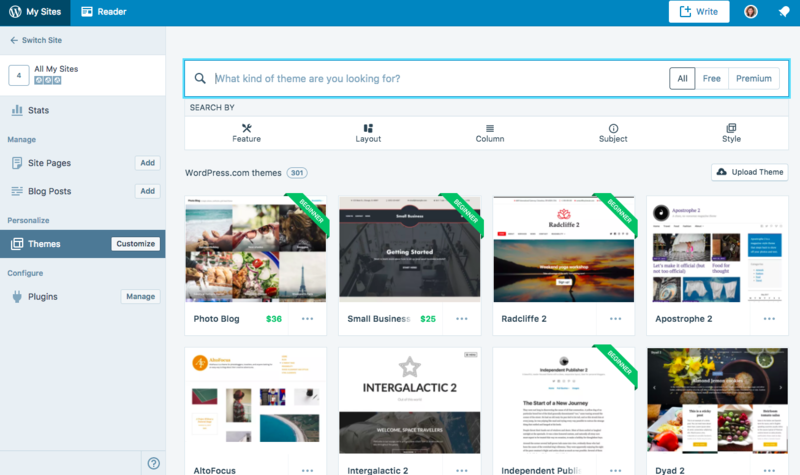 The WordPress.com customizer allows you to choose fonts, specify a color scheme, create a custom menu, and upload a custom header image. Don’t worry if you aren’t settled on the visual aspects right away — you can always adjust them later. To create your first blog post, head over to the My Sites screen. Under Manage and next to Blog Posts, click Add. 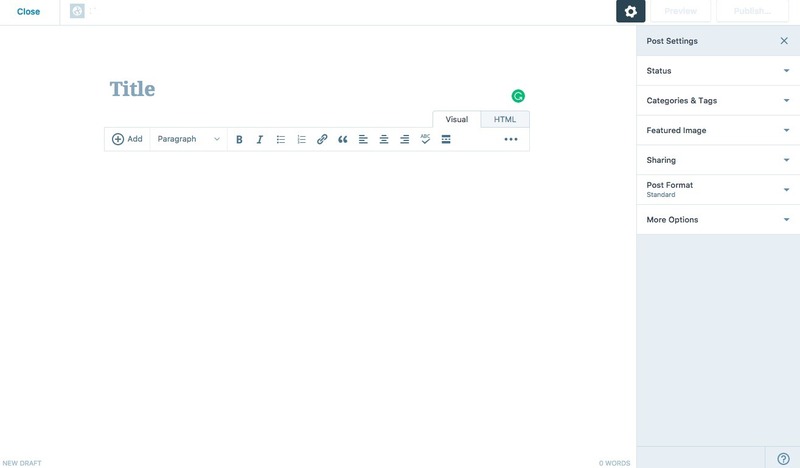 You’ll be directed to a the post editor, where you can begin writing and formatting your post. You’ll be prompted to add a title (among other details). Start writing the body of your post beneath the toolbar. After you hit Publish, be sure to promote your blog posts on social media to share your hard work. With WordPress.com, you can start a blog in just a few hours. Once you learn how to create a blog and get into a publishing pattern, you’ll be able to perfect your content until you’re drawing in eager readers every day. Previous Article Which social Media drives the most traffic/visitor?